The Golden Arm Trophy Challenge – 9th July 2018, New Lambton B. C.
The Golden Arm Trophy Challenge was held today between the NSW Woomeras Side and the Zone 14 Armigos. Although the day started off with chilly winds it didn’t have an affect on the quality of play with the Woomeras taking the trophy 12 matches to 0. A great day for the armed bowlers…. This trophy day started last year when there was an unofficial match between the Woomeras (N.S.W. Rep. team) and a group of armed players from Zone 14 (Mid North Coast – around Port Macquarie). It was just so the Woomeras could get in some practice before the National Titles were held that year in Moama. It was such a fun day that the organisers decided to hold it every year and call it a challenge match. Now, “Zone 14 actually beat the Woomeras last year” so the challenge took on a bit of spirit this year. 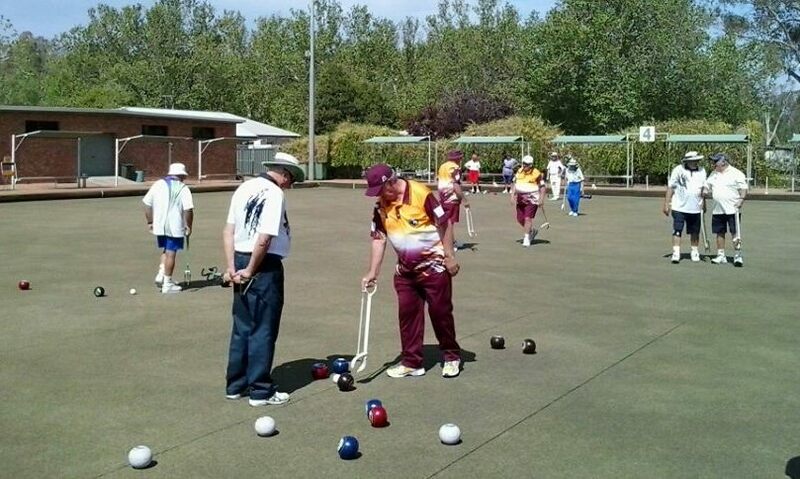 The “Golden Arm Trophy” was created and this year the event was held at New Lambton Bowling Club in Newcastle. The event will alternate between Port Macquarie and New Lambton from now on as a lead up to the September Nationals. Zone 14 took it very seriously holding trial matches to form their team. Uniforms were designed and obtained quickly and the event proceeded today with enthusiasm from both sides. The Armigos, as Zone 14 have called themselves came out fighting and although they went down 12-0 there were some tight matches. We played in our National Day 1 sides to practice our combinations. I’m sure everyone had a great day and overall it was a win for Armed Bowlers. It is going to become much tougher to be selected in the NSW team as new players are coming on board all the time. Thanks obviously go to Woomeras Allan Starrett and the Armigos Ken Errington and others for organising the event for us all. Monday, 9th July, 2018, saw the first selected Zone 14 Armigos side play the NSW State Woomeras in the annual challenge for the Golden Arm Trophy, using the mechanical bowling arm device. The new facilities at the New Lambton Bowling Club made pleasant surroundings as Club President and Woomeras player, Stan ‘The Man’ Wrzeczycki welcomed both sides for the clash. 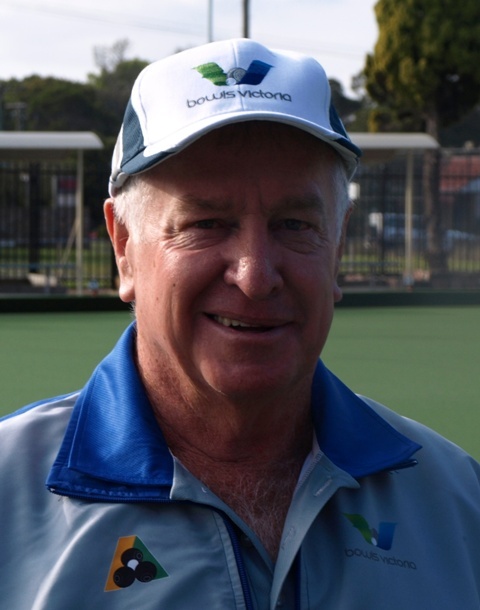 Allan Starrett, State & National Coach and Woomeras player then also welcomed all and read the conditions of play and called the cards for the morning session of games. Though using the uncovered green, it was a little chilly early when the three Singles games and three Fours games got underway. It was evident that all the training practices of the Woomeras and the talent of their players were going to be a big mountain to climb for the Armigos, but they gave it their best shot, especially Marie Owens in the Singles. At the lunch break, the NSW side had won all games and after dining at the Wests Leagues Club, the afternoon session of the three Pairs and Triples games began. The strength of the State side shone again, but there was some stronger opposition from the Armigos this time, but at games end, the Woomeras had a clean sweep of the Zone side. The friendship and helpfulness of the Woomeras players was much appreciated by all and at the presentation and photo session, Zone President and Trophy donor, Ken Errington, called for three cheers for the opposition which was duly given and invited the Woomeras to Zone 14 next year. Plans for next years event are already underway with the event penciled in for a similar time-frame to be played at the Port Panthers home, Hibbard Sports Club. In the aftermath of the event, healthy and enthusiastic discussion took place in the Clubhouse where it was noted that the Zone side recognize what has to be done to give the Woomeras a bigger challenge. Many thanks to all in the organising of the event, especially Kay Underwood and Allan Starrett and a big pat on the back to the inaugural selected side players. It was announced that bowling arm tournaments will be organized in the Zone on an Open mixed format to encourage more and more players to participate and trial for selection for the next challenge. Again, congratulations to the NSW Woomeras, but watch out next year!! The pics of the event are below. 2018 Zone 14 Armigos: Ken Errington (Manager), Stan Hungerford, Terry Brown, Adrian Fakes, Margaret Halliday, Peter Colbert, Selwyn Rogers, Nev Womersley, Marie Owens, Tony Austin, Jenni Flynn, Kay Underwood, Roger Sydneham, Laurie Walsh, Paul Sloan, Reg Penney and Bob Sims. Alas this very well attended, and much anticipated event suffered a “wash out” on Day 2. We await more news on “Who the Winners Are” in each Category. 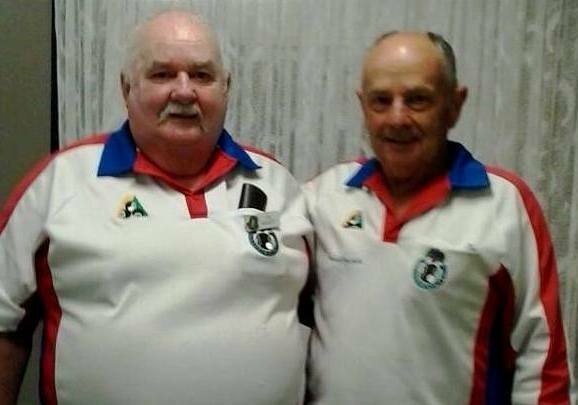 Teralba Bowling Club NSW hosted an Armed Bowlers Pairs tournament on the 1st & 2nd February. There were 4 female players amongst the 26 pairs. Pictured from L to R: Kay Underwood (South West Rocks), Pam Martin (Beresfield), Desma Medcalf (Wangi) & Gloria Lamb (Beresfield). Pictured below, ready to start in the Bowling Arm Pairs two-dayer at Teralba Bowling Club on day one, Thursday 1st Feb. Kingsley Joliffe and Pam Martin who came 8th overall and earned “Best Performed” on Day 2. Beresfield was proudly represented at this event contested by 26 pairs, which included some members of the NSW & Q’ld State teams. The results achieved by our group were outstanding. Pictured below L to R: Mal Adams (Beresfield) & Steve Gilchrist (Lorn Park) 6th, Pam Martin (Beresfield) & Kingsley Joliffe (Lorn Park) 8th & Best Performed Day 2, Gloria Lamb (Beresfield) & John McGahan (Dalby Q’ld) 17th. A great time was had by all players and we thank Teralba Bowling Club and the sponsors for hosting the event. Thanks Warren & the girls! 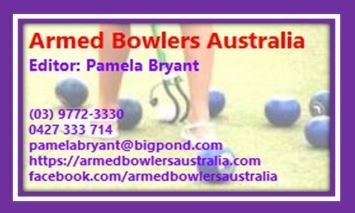 NSW Armed Singles 7-8 Nov ’16 at Maitland and Beresfield. 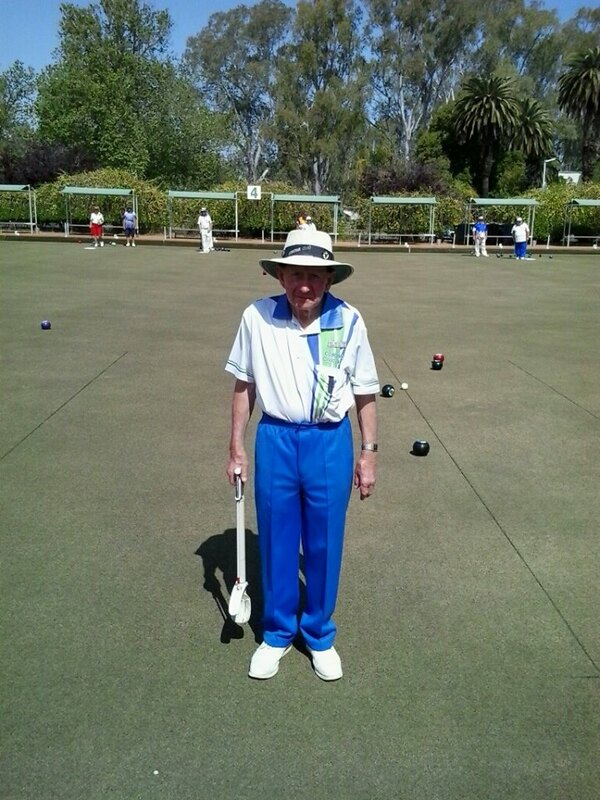 The NSW Bowlers Arm Singles Championships for 2016 were played at East Maitland and Beresfield Bowling Clubs on Monday 7th and Tuesday 8th November ’16. It was a grueling 6 games of 15 ends in extremely hot conditions. Gold Section: 1st: Michael Kedwell, 2nd: Ron Herbert, 3rd: Andrew Capararo. Silver Section: 1st: Clay Parker (backing up from a 1st in Gold Section, 2014/2015 (pictured below) and a win in Bronze Section the year before, 2013) 2nd: Allan Starrett, 3rd: Jeff Huntley. Bronze Section: 1st: Malcolm Adams, 2nd: Ian Percival, 3rd: Paul Dodd. Consolation Section: 1st: Brian Charters, 2nd: John Davis, 3rd: John Vella. It must have been a wonderful 2 days of very serious Armed Bowling! Beresfield and Maitland Events for 6 & 7 of June cancelled due to a rain event. The rains came and the Selection of the NSW Squad Players for the National Challenge has been delayed. Please read this notice from Allan Starrett, Chairman of the NSW Bowling Arm Committee. “The NSW Bowlers Arm Committee has nominated the following players to form a provisional selection squad for the 2016 NSW Woomeras which will be composed of 15 players with 2 Reserves and 1 Manager. At least two players are to be women. Corowa Civic B.C. 8 Oct ’15 A great Pairs “day out” was enjoyed by all at Corowa with guests from all points. It was indeed a very nice day with a happy group of 14 Pairs contesting. Roy Streeter, Howlong and Mal Beer, YMGCR tied for 4th place. Finley RSC B.C. (love that club!) “Arm Tussle” 30 Aug 2015. Click here for the Bowls Vic report on this first of the ’15 – ’16 season event. East Maitland B.C. Arm Pairs Championship 12 Jul ’15. 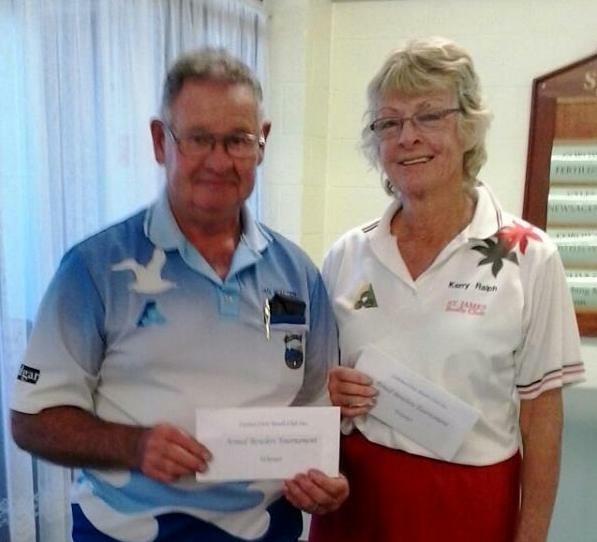 2015 NSW Bowling Arm Pairs Tournament -Sunday, 12th July ’15. A very warm welcome was provided to 22 teams at East Maitland BC on an extremely cold and blustery day for the 2015 NSW Bowlers Arm Pairs Championship. Two games were played prior to the usual delicious lunch offered by the Billabong Restaurant as players took the opportunity to thaw out and prepare for the afternoon battle with both opposition players and the almost arctic elements. Mick Kedwell (Teralba) and Trevor Solomons (Maitland City). Jeff Huntley and Leon Bell from Cardiff. East Maitland President, Bill Hopkins OAM and Beresfield President, Des Skinner combined to make the presentations to the successful teams. Tournament to be played at Tranmere Bowling Club in Adelaide in September. The NSW Woomeras will be taking on the formidable Victorian and South Australia teams in Singles, Pairs Triples and Fours over three days.